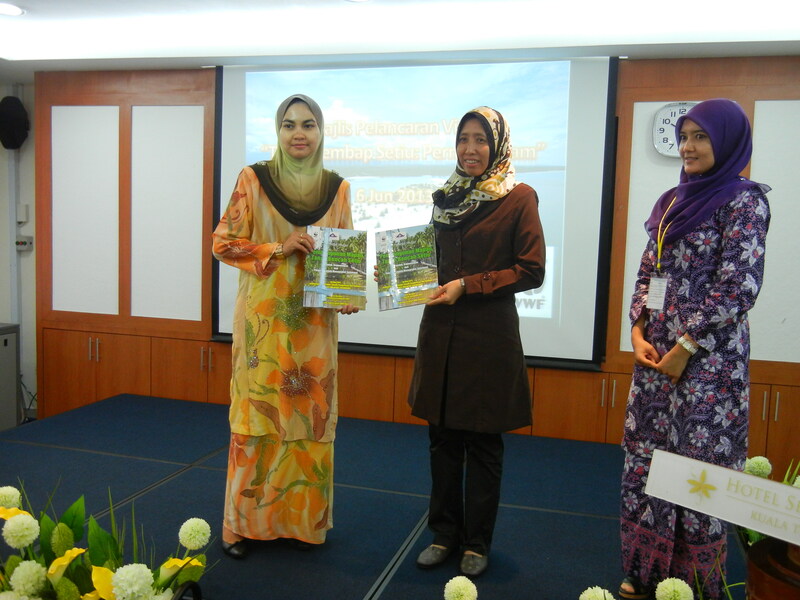 6 June 2013, Kuala Terengganu, Terengganu: WWF-Malaysia calls on the State Government to step up protection of Setiu Wetlands by gazetting the site as Terengganu’s very first State Park. “Setiu Wetlands meets all the criteria to become a State Park - its rich wetland resources offer a playground for researchers and has the potential as an ecotourism destination that can generate economic opportunities for the locals,” said WWF-Malaysia’s Executive Director/CEO, Dato’ Dr Dionysius Sharma. “In the long run, the Terengganu State as a whole will gain in terms of the sustained provision of ecosystem services for the well-being of its people as well as economic benefits particularly from ecotourism that can contribute to the State’s revenue,” Dr Dionysius added. Setiu Wetlands harbours natural features comprising a diverse array of freshwater, brackish and marine ecosystems including unique habitats such as the Gelam forest and a 14-km lagoon stretching parallel to the coastline. Setiu is also home to the last viable population of the critically threatened Painted Terrapins (Batagur borneoensis) in the world and provides a sanctuary to other wildlife including 29 species of mammals, 161 species of birds and 36 species of reptiles and amphibians. Livelihoods are also dependent on the resources found in Setiu Wetlands, as reflected by the economic income derived by the locals involved in the fishing industry – from boat making to fish-based food processing. In the last few years, changes in land use resulting in degradation and reduced size of the different wetlands habitats are sending red alerts. According to a study on land cover changes in Setiu Wetlands conducted by WWF-Malaysia, nearly 20% of the natural vegetation, particularly swamps and mangroves, have been drained, cleared and converted to other land use during the period between 2008 and 2011. Based on preliminary findings from a recent study carried out by WWF-Malaysia titled ‘Economic Valuation of the Setiu Wetlands Ecosystem’, 77% of the 200 locals from the Setiu district who were interviewed agreed that Setiu Wetlands has economic value and need to be conserved for future generation. “It is high time to protect Setiu Wetlands and serious steps in this direction need to be taken. By doing so, we will be able to ensure that Setiu Wetlands will remain for all to benefit,” Dr Dionysius added. WWF-Malaysia’s proposal to gazette Setiu Wetlands dates back to 1996 when it was jointly pitched with the Department of Fisheries to the State Government. Fast forward 17 years later, the threats are escalating and these can jeopardise the wetlands’ ability to continue providing the ecological, social and economic goods and services. “We need a sustainable management system in place to address these threats that are associated with widespread and incompatible land conversion and development in the wetlands,” said Dr Dionysius. In conjunction with the World Environment Day on 5 June, WWF-Malaysia today held a screening of ‘Setiu Wetlands: Nature’s Jewel’ video in Kuala Terengganu. Produced by WWF-Malaysia with the support of the Ministry of Natural Resources and Environment (NRE) and Nestlé (Malaysia) Berhad, the video features interviews with local community members, stakeholders and researchers which aim to introduce the public to the Setiu Wetlands in Terengganu, its vital ecological functions and natural resources as well as the efforts that are being carried out to conserve this valuable site. 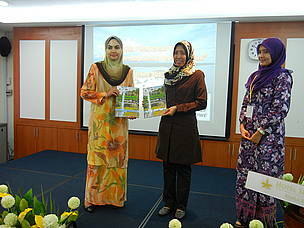 WWF-Malaysia (World Wide Fund for Nature-Malaysia) was established in Malaysia in 1972. It currently runs more than 90 projects covering a diverse range of environmental conservation and protection work, from saving endangered species such as tigers and turtles, to protecting our highland forests, rivers and seas. The national conservation trust also undertakes environmental education and advocacy work to achieve its conservation goals. Its mission is to stop the degradation of the earth’s natural environment and to build a future in which humans live in harmony with nature, by conserving the nation’s biological diversity, ensuring that the use of renewable natural resources is sustainable, and promoting the reduction of pollution and wasteful consumption.